Many many moons ago, my daughter came home with a Cotton Wool Snowman. I still have it. I love it so much. 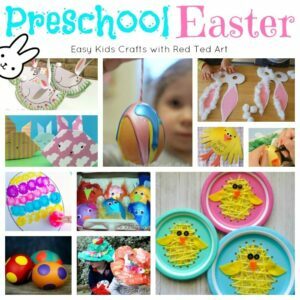 It has that sweetness and simplicity of toddler and preschooler art. She made it whilst at nursery, so must have been about three. Too cute. Too precious. 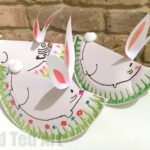 The use of the cotton wool pads, instead of the cotton wool balls, made me think that these would actually be ideal for a Cotton Wool Bunny Card version too! 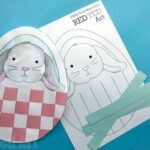 We love Preschool Easter Crafts – a challenging but darling age group to work with – so I came up with this easy Cotton Wool Bunny Design. As it is based on our little Snowman, I hope it will delight children of that age group too. 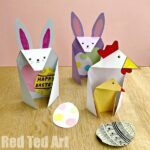 It got the stamp of approval of my (now 8yrs old).. so if you do make these with 2 and 3yrs olds this Easter, please do send me some photos!! I would love to see them. 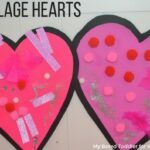 A fabuluos Card Making Idea for kids! 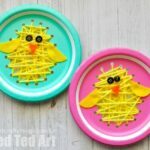 Now this is optional.. but I also love that the kids get to munch on a chocolate egg whilst making these… a sweet treat whilst getting crafty! Note: Amazon affiliate links have been added for your convenience! Should you choose to purchase through these links, I will earn a small commission which will go towards the upkeep of this site! 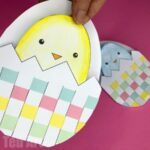 These Easter Bunny Cards are super easy to make and are really more about “assembly” and letting your preschool kids and toddlers go whilst with glue and stuff to stick. 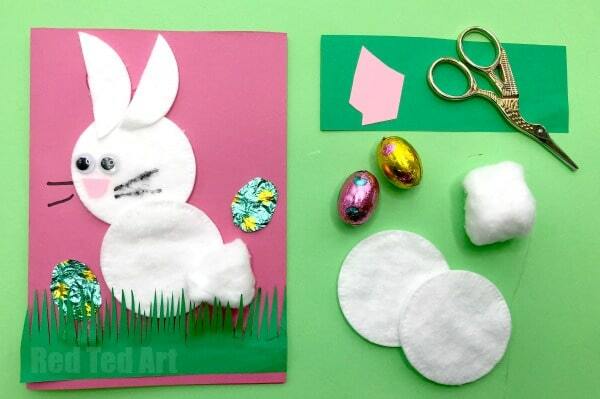 Your Easter Bunny is made up of two cotton wool pads stuck on the card. The ears are cut off the third cotton round – two strips for each ear. Then glue on your googly eyes and cotton wool bud tail. 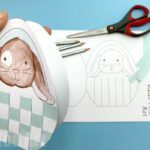 Then decorate with pens (for whiskers), paper for a nose (though you could use pens for this too..). 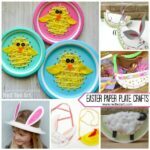 Use the green paper for grass – if you have fabric to use, then great! 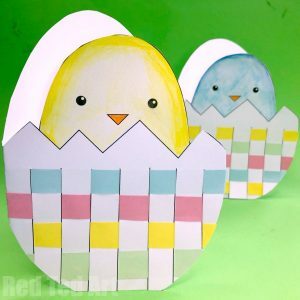 And finally, munch away on some chocolate mini eggs and use the foil to add as “chocolate egg details” to your Toddler Bunny Collage. 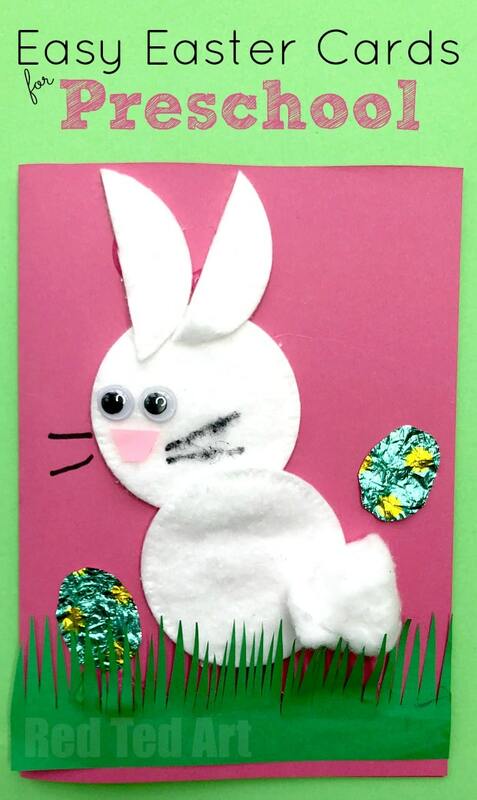 And and your collage bunny card for toddlers is FINISHED!! !